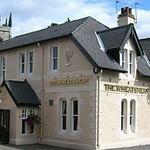 Head to the Wheatsheaf where you will find a fantastic array of delicious dishes. The great service and laid back atmosphere make this a popular choice. Do you work at Wheatsheaf? What did you think of Wheatsheaf?